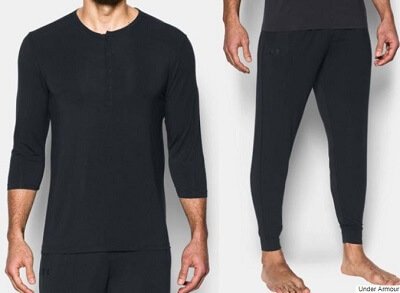 Is there an alternative to the Under Armour Recovery Sleepwear available in Singapore? Yes, there is and it uses far infrared rays (FIR) fabric technology from Japan. When I first read about the Athlete Recovery Sleepwear by Under Armour, I was very intrigued by the concept. The idea is to use far infrared rays garment technology to help recover your tired muscles faster while you sleep. Under Armour is very clever in using Tom Brady as their brand spokesperson to market their new line of athletic clothing. I am familiar with far infrared rays clothing because I have been wearing one everyday since April 2018. I’ve personally experienced the effect of FIR on tired and stiff muscles and I know it works. Firstly, know that a FIR emitting garment such as the Athlete Recovery Sleepwear is not meant for everyone. As the name suggests, the garment is meant for “athletes”. Meaning it is meant for someone that exercises, trains or works out regularly and in search for tools to help them to improve their performance. If you are a professional athlete, an amateur sportsperson or if you have regular hard exercise sessions in the gym, one thing that you want is to have your muscles recover quickly so you can train again the following day. The Athlete Recovery Sleepwear is meant to do that. If you are a regular person that enjoys light workout in the gym, personally, I do not think the high tech garment will do you any good. All you’ll get is an expensive, loose and comfy pajamas. However, if you go to bed every night with aching joints and muscles due to your daily exercise regime, far infrared rays clothing will do wonders for your body recovery. Now, coming back to the initial question, is there an alternative to Under Armour Recovery Sleepwear available in Singapore? 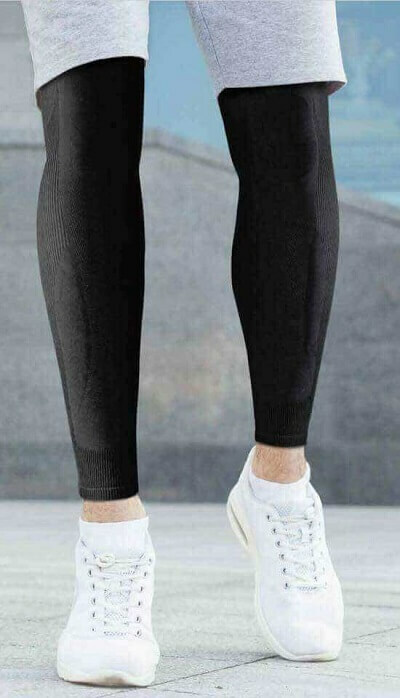 It is not only a sleepwear, it is a full fledged sports compression pants known as Aulora Pants with Kodenshi from Japan. The only similarity between the Aulora Pants and the Athlete Recovery Sleepwear is the FIR emitting technology. The Aulora Pants uses the Kodenshi fabric technology from Japan to create the natural FIR effect. You can check out the article in the link below for more information. One thing I am sure, the FIR emitting element in the Aulora Pants is far more compared to the Under Armour Sleepwear. Aulora Pants has 88.4% Kodenshi fabric. Being a compression pants, is the Aulora Pants comfortable to be worn to sleep? Personally, I wear it to sleep every night and I find it quite comfortable. The Aulora Pants is fully designed and made in Japan. The company that imports the Aulora Pants into Singapore is BE International Marketing. If you are interested to try the Aulora Pants for rapid muscle recovery using FIR, click the link below to contact me through WhatsApp and I will assist you.